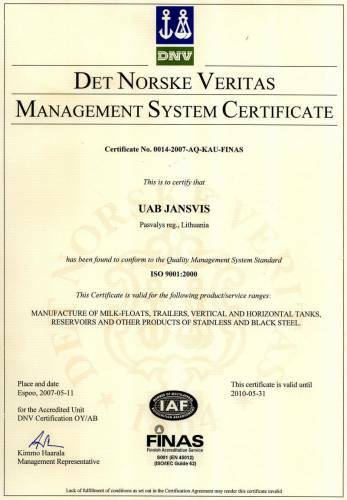 Company „Jansvis“ located in North Lithuania. The company produces various welded products from stainless steel ( tanks, reservoirs, milk-floats) and black steel (post pallets, containers, constructions, shelves and other products ) for storage, logistics and transport. The company offers everything from development, construction and manufacturing, to installation, commisioning and service. We have team of experienced and qualified employees. Our emplyees are assisted in their work with modern manufacturing equipment, so that guarantees the best quality of products. 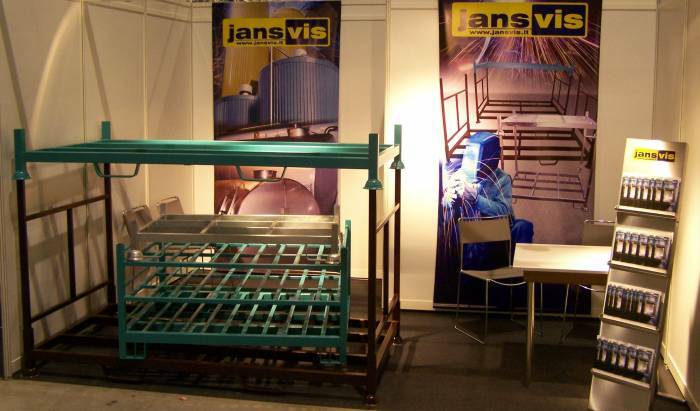 „Jansvis“ export production to Scandinavia, Baltic states and West Europe. The company has ISO:9001:2001 standart.